As the iPad turns 3, is Apple planning to release the next model this year? 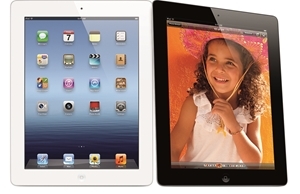 Home » MC Services Blog » As the iPad turns 3, is Apple planning to release the next model this year? Not too long ago, the first rumors surrounding the introduction of the iPad to the marketplace were met with scorn in some analyst circles. They wondered whether consumers and businesses would use a device whose size and functionality placed it between the iPhone and the Mac laptop. Apple is now the dominant tablet market leader and the iPad is celebrating the three-year anniversary of its release this week. In a story in Tab Times about the impact of the iPad on business processes, Doug Drinkwater explored the device's growth from innovative solution to – as some have suggested – a possible replacement of laptops, at least on an enterprise level. Tasks involving data input and content creation are streamlined when a business deploys iPad integration. "The iPad created an opportunity for businesses to adopt computing technologies in roles that are primarily about gathering information," ABI Research analyst Jeff Orr told Drinkwater. "Often these 'clipboard' jobs were driven by paper and pen, and with the introduction of touch-based tablets like the iPad much of this can be automated into digital systems." According to DigiTimes' sources in the Apple supply chain, the next generation of the iPad is expected to begin production later this summer. The iPad 5 is expected to closely resemble the design of the iPad Mini, with a lighter weight and thinner interface. As an official release date draws nearer, IT departments will continue to gather information about the new model. There will be differences between the iPad 5 and older models that could have an impact on companies' iPad integration strategies. At this point, three years after Apple revolutionized the tablet market, the question is no longer "should my company adopt tablets" but rather "which model tablet should we use."